Brand advertising with taps, creamy whitecaps, and hashtags. Right in the heart of Dublin at the St. James’s Gate Brewery in the year 2000, the Guinness Storehouse opened its doors. Here it’s all about the favorite drink of the Irish: the iconic Guinness beer. Since then, thousands of people visit the 7-story tourist attraction every day. The venue has welcomed over 19 million visitors as of 2019 with over 1.7 million visitors passing through its doors just in 2018 alone. 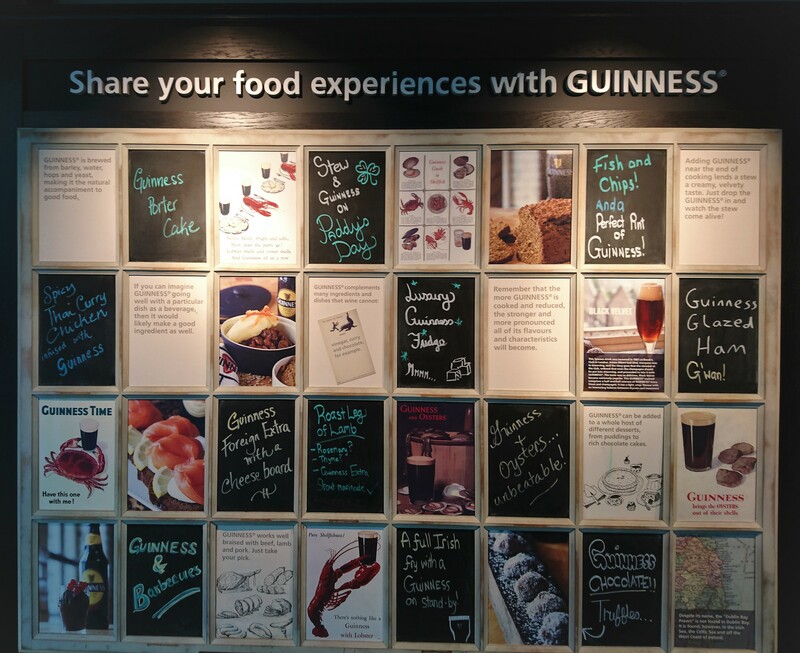 It made us wonder what makes the Guinness Storehouse such a powerful customer magnet. That’s why we went on location and started our journey through the home of the stout or the world’s largest pint glass. While the outside still features the look of the old brewery from the 18th century, the inside of the building greets visitors with its modern, Irish flair. This is also where you can find the Guinness store, a large gift shop. Guests are greeted by a guide, who offers a brief introduction. The tour of the brewery starts with a history of the beer’s ingredients (water, barley, hops, and yeast) and how they are used. 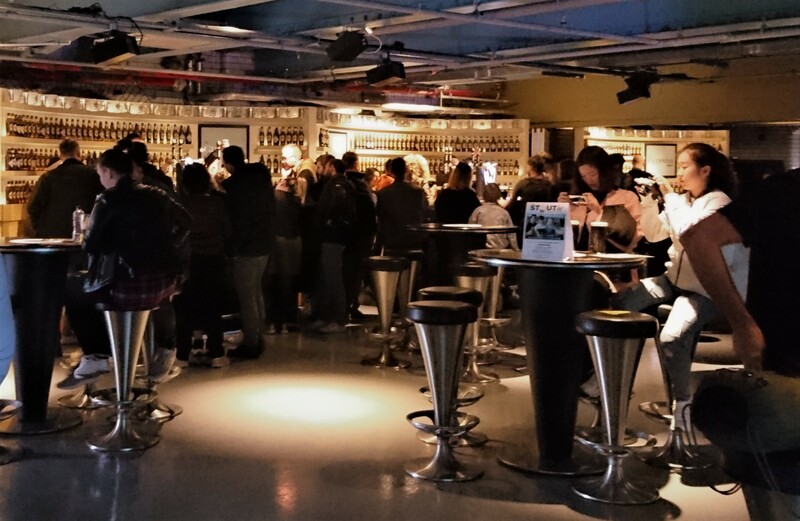 Apart from the story of the beer’s creator Arthur Guinness, visitors also learn about the company’s historic logistics processes on the first floor. Guests can find out how the wooden barrels were made and what transport routes ensured that Dublin’s most successful product was transported to the rest of the world. Welcome to the tasting rooms, where an expert guide introduces you to the different tastes found in Guinness and where you learn how to best enjoy the beer. Visitors can enjoy many famous examples of the long history of the company’s creative advertising. On this floor, visitors can learn to pour and then savor their own perfect pint of Guinness after a quick tutorial! The so-called food experience floor is home to restaurants and bars and everything a Guinness lover’s heart desires. The last stop of the tour, the famous Gravity Bar, rewards guests with 360 panoramic views of Dublin. A free pint of Guinness is the (foaming) glory of this visit. Sláinte! 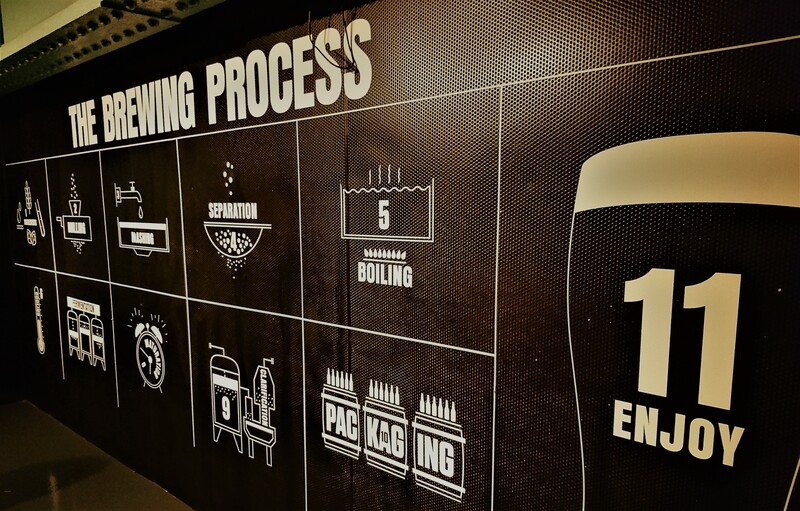 Next to the impressive and detailed design and layout of the brewery, which manages to strikingly depict the history of the world-famous product right from the get-go, the attraction also successfully continues to personally involve visitors in the experience. This includes opportunities such as the pouring tutorial in the Guinness Academy or a selfie modeled on the head of the iconic stout. These events are very popular with visitors, who take pictures and post them on social networks with a Guinness hashtag. The unique mix of tradition, Irish charm, and modern technical equipment ensures a feel-good atmosphere. Every now and then guests are approached by expert guides or members of staff, who divulge relevant information. This overall package is complemented by bonus experiences such as the brewery’s own band, which travels the floors and surprises listeners with fun live music. 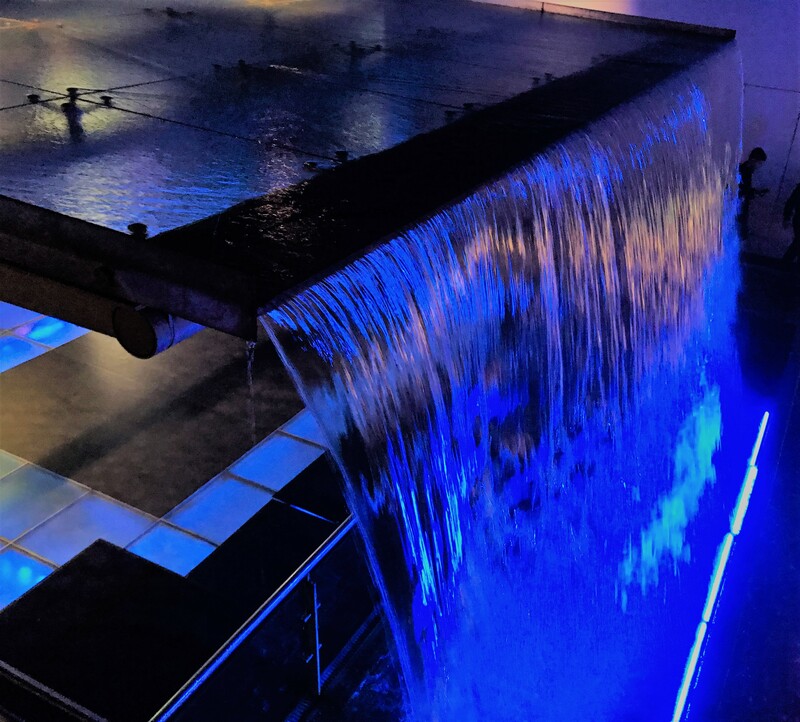 Thanks to the many features, services, dining options, and entertainment, visitors can easily spend the whole day at the Guinness Storehouse. As one would expect, there is also no lack of seasonal events. 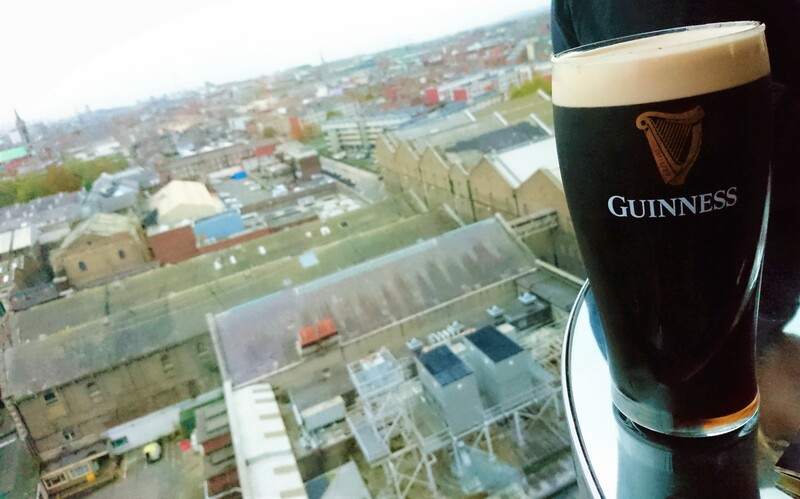 In addition to other happenings, the Guinness Storehouse celebrates St. Patrick’s Day with a four-day festival of live music, delicious food, and craic, meaning lots of fun.